March 22nd is World Water Day. Water is at the core of sustainable development, and is essential to human and environmental health and well-being. We see the impact of water – or the lack of it – on the lives of children every day in the communities in which we work. In particular, the lack of water impacts girls at their most critical and vulnerable age: as they enter puberty and the pressures to drop out of school mount. Girls face many barriers to education: from child marriage, to the undervaluing of girls’ education, to the practical realities of needing to take care of personal health and hygiene where there are no safe, private facilities to do so. 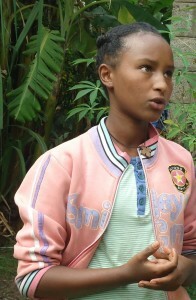 As a result, girls reaching the age of 12 or 13 begin to drop out of school, as Laela almost did. And the cycle of poverty persists. Thanks to generous CFTC donors, Laela and thousands of girls like her now benefit from safe, private and hygienic latrines at school. This support has been critical in helping to provide access to safe, clean water and sanitation facilities and to make sure that children have access to quality education, better health, and better life outcomes. “It takes no more than 15 minutes to get water,” said Emebet, who now takes advantage of a school water source to collect water for her family. Small improvements to the availability of a water source for drinking can immediately reduce the need for girls to spend hours a day fetching water, preventing them from attending school. For example, with a new water source located at her school, 13-year-old Emebet, from Woliso, Ethiopia, brings containers from home and spends her day in class instead of walking long distances. 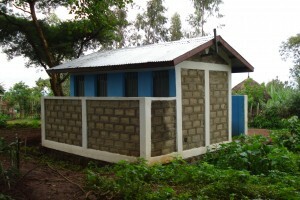 “The new toilet has good water access, so it takes no more than 15 minutes to get water,” Emebet explained. Since a latrine with a reliable water source was built at her school, Emebet’s life has changed significantly, and so have the lives of her girlfriends at school. 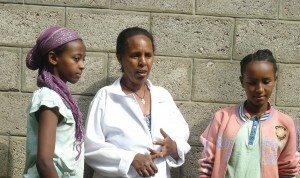 “It improves our health, we can concentrate on our education, we don’t miss our classes, and we are happy,” she said. The availability of clean water for drinking and hygiene – and support for proper hygiene practices from trained teachers – can reduce the incidence of illness in school and absenteeism as a result. “I would have quit school,” Emebet admitted, after listing the countless times she had gotten sick and missed school – something she says was caused by sharing a limited supply of water bottles with friends and from not having water to wash her hands. Providing adequate cooking and safe food preparation facilities is also essential so that nutritious food can be prepared and offered in schools – where it is often the only healthy meal of the day for many students. These meals – often, a cup of porridge in the morning; lentils or other legumes in a stew for lunch – make it possible for children to learn better, and reduce pressure on families who can then share scarce resources more equitably among other vulnerable family members. Madame Frehiwot Dejene has been a teacher and mentor to young women in Ethiopia for over 30 years, and she is the coach for the girls’ club at Emebet’s school. She helps raise discussions with her students about reproductive health, hygiene practices, and the importance of sanitation. Water is vital outside of the cla ssroom too. CFTC donor support has also provided adequate water systems and management practices for better agricultural livelihoods for parents. This enables them to grow enough food and earn enough income to feed their children all year long. This is a particular concern in Ethiopia – where Laela, Emebet and Madame Frehiwot live – as the country faces one of the worst drought in decades. Nearly one million children across eastern and southern Africa are suffering from severe acute malnutrition after two years of drought and the strongest El Niño in 50 years. Up to 18 million people are going to require food aid, according to the latest UN estimates. Irrigation systems for farmers, water user groups for conservation agriculture, and agricultural training that teaches progressive farming techniques for dry-season gardening are key components in feeding children and ensuring their well-being throughout the year. From the simple need for a well-maintained latrine which has the profound impact on keeping girls like Laela or Emebet in school, to the broader reach that an irrigation system can have on a community and a country like Ethiopia in crisis, one thing is clear: water is life.